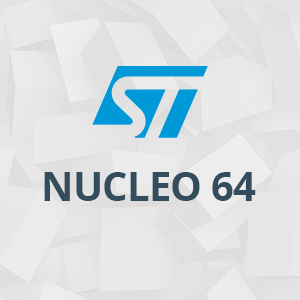 NUCLEO-F303K8, STM32 Nucleo-32 Development Board with STM32F303K8T6 MCU, supports Arduino connectivity. The STM32 Nucleo-32 board provides an affordable and flexible way for users to try out new concepts and build prototypes with any STM32 microcontroller line in 32-pin packages, choosing from the various combinations of performance, power consumption and features. STM32 Nucleo-144 development board with STM32F767ZI MCU, supports Arduino, ST Zio and morpho connectivity The STM32 Nucleo-144 boards provide an affordable and flexible way for users to try out new concepts and build prototypes by choosing from the various combinations of performance and power consumption features, provided by the STM32 microcontroller. STM32 Nucleo-144 development board with STM32H743ZI MCU, supports Arduino, ST Zio and morpho connectivity The STM32 Nucleo-144 boards provide an affordable and flexible way for users to try out new concepts and build prototypes by choosing from the various combinations of performance and power consumption features, provided by the STM32 microcontroller. 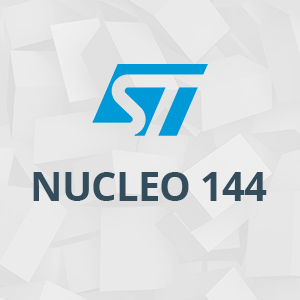 STM32 Nucleo-144 development board with STM32L4R5ZI MCU, supports Arduino, ST Zio and morpho connectivity The STM32 Nucleo-144 boards provide an affordable and flexible way for users to try out new concepts and build prototypes by choosing from the various combinations of performance and power consumption features, provided by the STM32 microcontroller. IoT Jungle brings you all the electronic boards, shields and services you need to make your IoT projects.